Private event limited to 1400 attendees. Tickets allocated to sponsors only. Located just south of Denver, the Morgan Adams Concours d’Elegance is an exclusive, exhilarating aircraft, automobile and motorcycle preview with silent and live travel-related auction components. The event brings together a collection that spans all collectible eras, representing an incredible array from the earliest significant air/auto/moto to breathtaking modern jets and super cars. 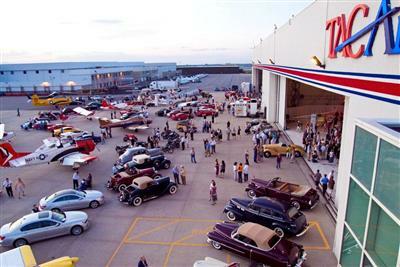 The list of attractions at this event boasts one-of-a kind vintage vehicles, one-off-assembly automobiles as well as custom private jets and extraordinary vintage aircraft. Founded in October of 2003 by Joan Slaughter and Steven Adams, the Morgan Adams Foundation is inspired by the memory of their daughter, Morgan, whose life was taken in 1998 by a brain tumor when she was six years old. The Morgan Adams Foundation is a 501(c)3 organization dedicated to improving the quality of life and survival rates of children diagnosed with pediatric brain tumors and other rare cancers.